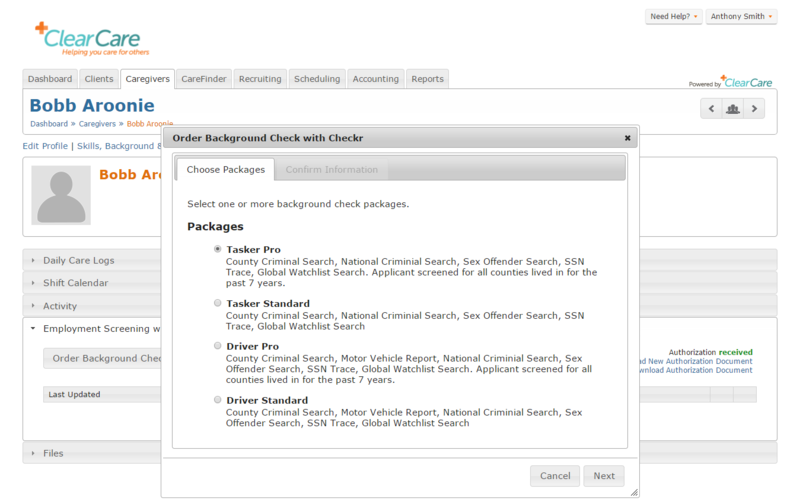 Run background checks with just a few clicks. ClearCare's Employment Screening is a background screening and verification service integrated into the ClearCare platform. Integrated screening enables businesses to conduct pre-employment background and drug screening at scale with a mobile-optimized, compliant process that maintains accuracy while reducing time-to-hire. ClearCare’s Employment Screening provides access to background screening solutions that fulfill the requirements set forth by the Fair Credit Reporting Act (FCRA), Equal Employment Opportunity Commission (EEOC), and state-level regulations with respect to consumer reporting. Packages can be customized to fit your requirements. Eliminate duplicate data entry and easily order checks with a click. 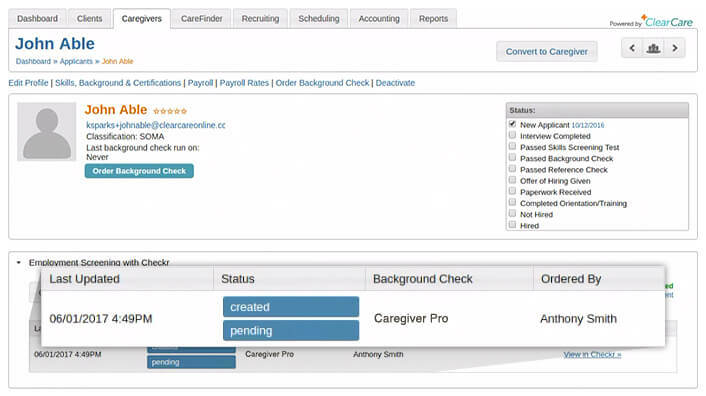 Incorporate screening authorization into your online caregiver application process and manage everything in ClearCare. View background check status in real time. Save valuable time with modern screening technology and streamlined workflows that improve efficiency and compliance at every step. Order screens from within the ClearCare platform and receive automatic notifications when results are ready. Applicants can complete employment screening authorization digitally and track the status of their background check in real time. It’s easy for applicants to submit their employment screening authorization information from anywhere using their mobile device. With the online caregiver application, you gather important caregiver data to speed up the screening process and hire caregivers faster. 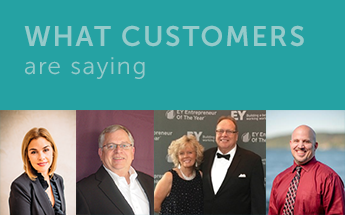 Give your prospects and families peace of mind by demonstrating your commitment to hiring best practices. 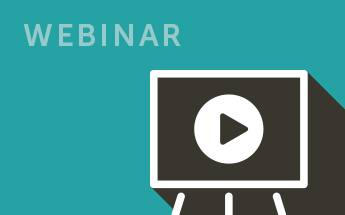 Add this video to your web site or send to families and referral sources via email. How much do ClearCare employment screening services cost? We've partnered with a leading background check provider for great rates. Actual costs are based on the packages you select. How thorough are the employment screening services offered through the ClearCare integration? ClearCare’s integrated Employment Screening provides compliant solutions that meet the requirements for all 50 US states, including direct access to all 3,200 counties. Does ClearCare Employment Screening include FACIS screening services? Yes. FACIS* screening packages are available. *Fraud and Abuse Control Information System (FACIS®) uses a database made up of direct federal and state sources to screen the sanction history of individuals and entities in the healthcare industry. The search, which is ideal for individuals directly involved in patient care (employees or contractors), includes information on a wide range of disciplinary actions from exclusions and debarments to letters of reprimand and probation, depending on the level searched. How will I know a background check has been completed? 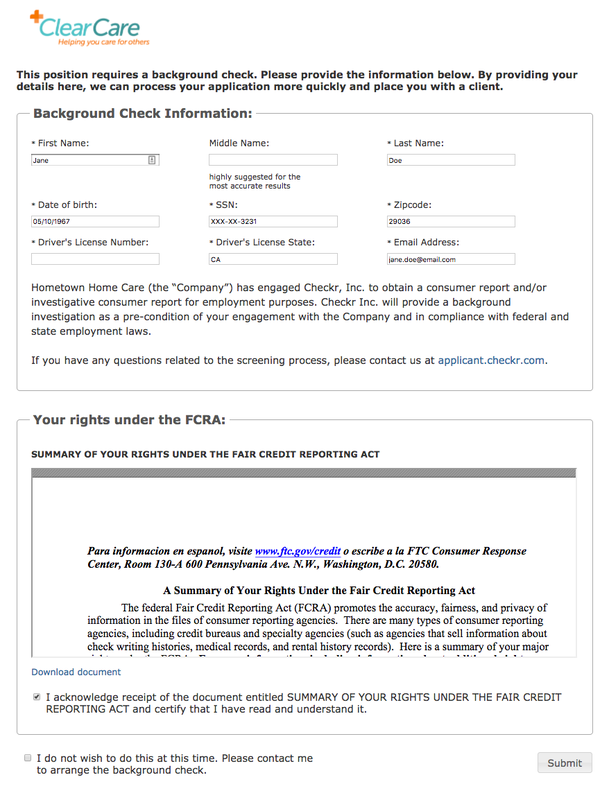 You'll be notified via email and on the ClearCare dashboard when there are updates to the background check. Are employment screening services available in Canada? ClearCare currently offers integrated Employment Screening services only in the United States. Does ClearCare Employment Screening include fingerprint or LiveScan services? No. Fingerprinting services are currently not available through ClearCare.